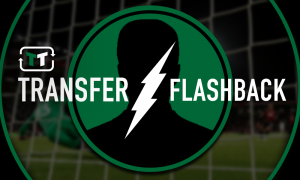 Attacker compared to Sadio Mane reportedly close to leaving club with Liverpool keen on swoop | The Transfer Tavern | News, breakdown and analysis on all things football! Liverpool fans will be celebrating their dominating Champions League performance against Manchester City in the Transfer Tavern. Jurgen Klopp’s side ran out as 3-0 winners in their first-leg as they aim to progress to the semi-finals of the competition. Off the pitch, the Reds are already looking at the future of the club and have identified an attacking midfielder who could make an impact once he learns his trade according to reports in France. L’Equipe is reporting that Liverpool has 17-year-old Christian Koffi on their radar and are looking to bring him to Anfield in the summer after impressing for AS Monaco in Ligue One. The youngster has been offered a professional contract, however, Klopp is already looking at bringing him across the channel. The Ivorian has been likened to Sadio Mane and although he is not expected to be involved with the first-team from the beginning, he should have a bright future with the Merseyside outfit if he develops as well as projected. Liverpool fans in the Tavern will be excited with the young prospect and with what he can offer in the future, although a number of the locals will be hoping the club will go after bigger names in the summer who can make a real impact straight away, with Koffi’s current team-mate Thomas Lemar previously linked.